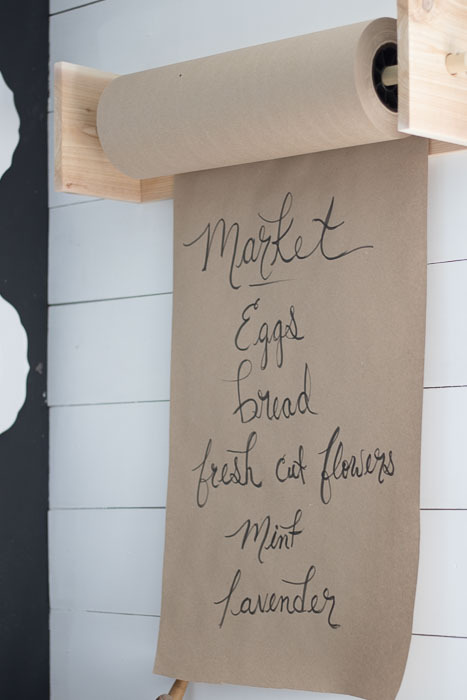 Bakeries and Deli’s are not the only places where you see these adorable butcher paper rolls and holder’s anymore. 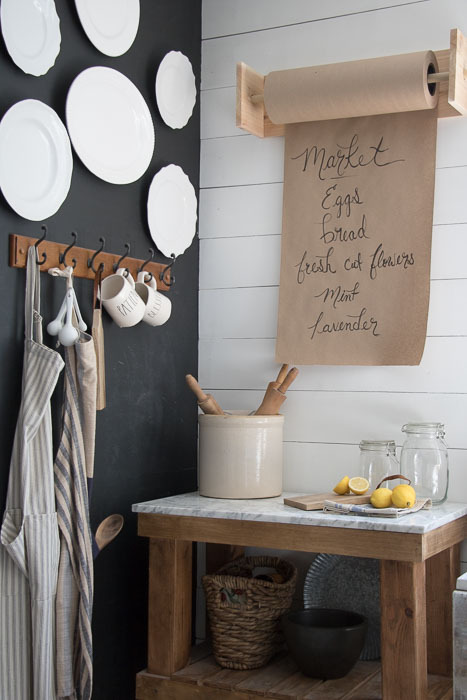 They are a definite item when it comes to Farmhouse Kitchen’s. 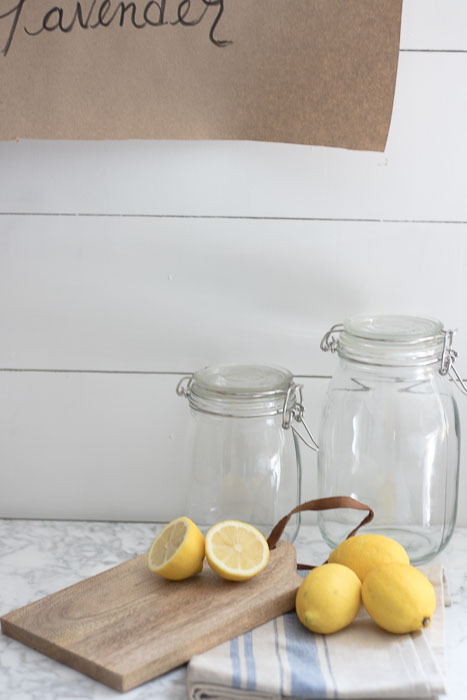 I have been loving this idea for sometime now, especially since I have been wrapping gifts with brown paper for years. 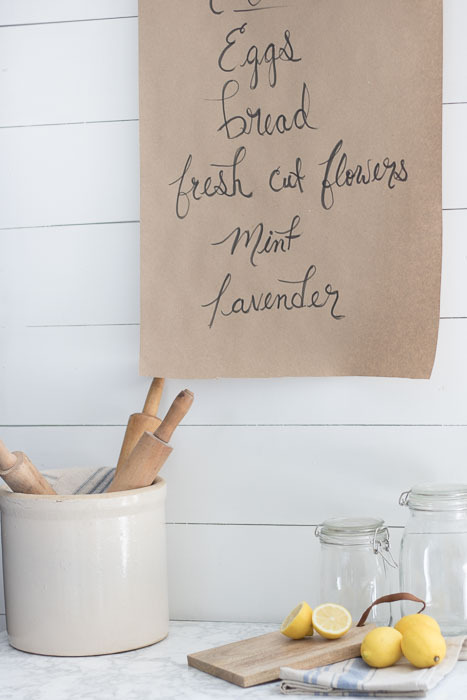 There is something so simple and chic about this paper. 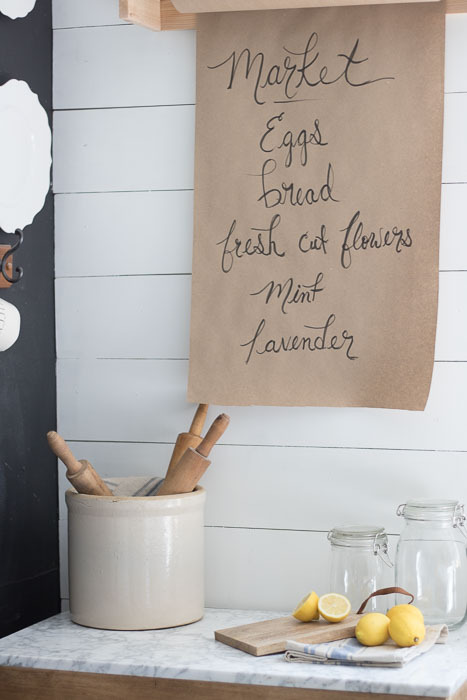 I decided after passing on a $200 Butcher paper Holder, and then another again for around $50 at the Country Living Fair a couple months ago…that I would just DIY my own. Add two screws each to secure better. 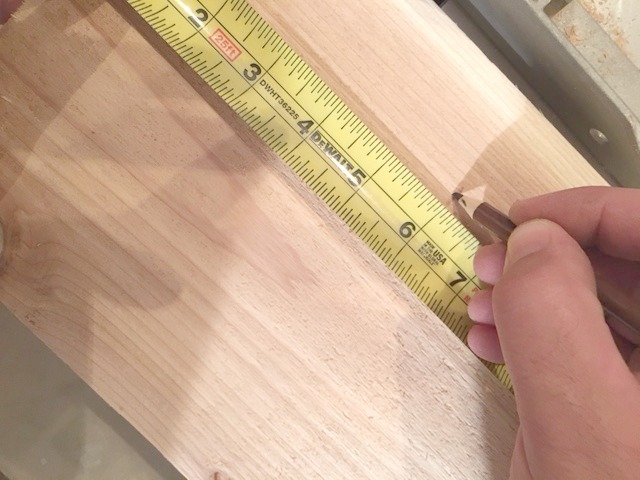 Measure and line up where hole for dowel will go. 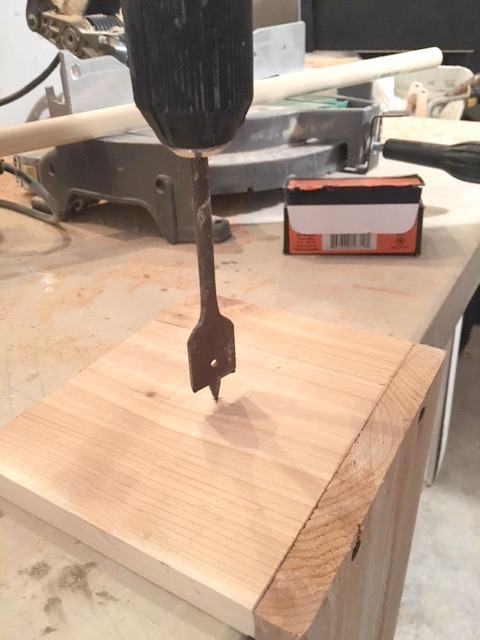 Use 1″ Spade Bit to Drill into sides to create hole. Cut Dowel to have small over hang on each side. 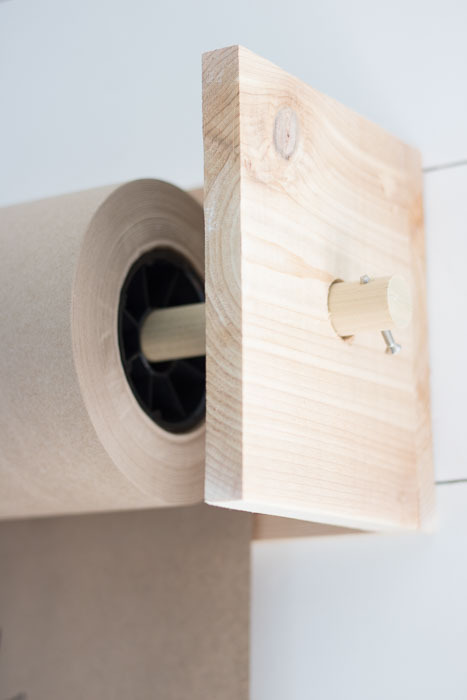 Order Butcher Paper, and place onto dowel. 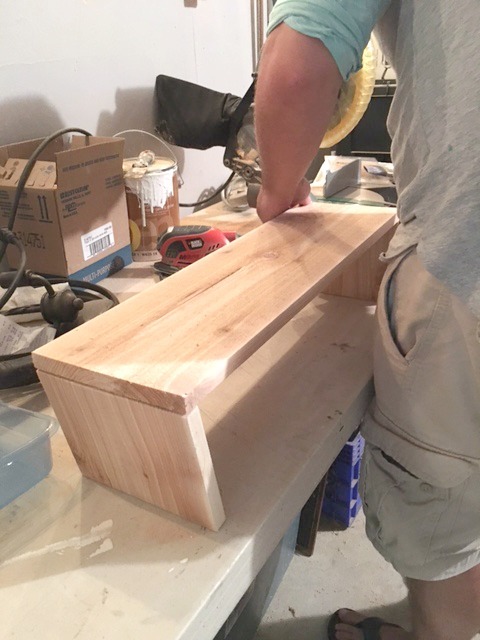 Step 3: Nail Base and Sides together, add two screws to each side for extra support. Step 4: Drill hole using spade bit. 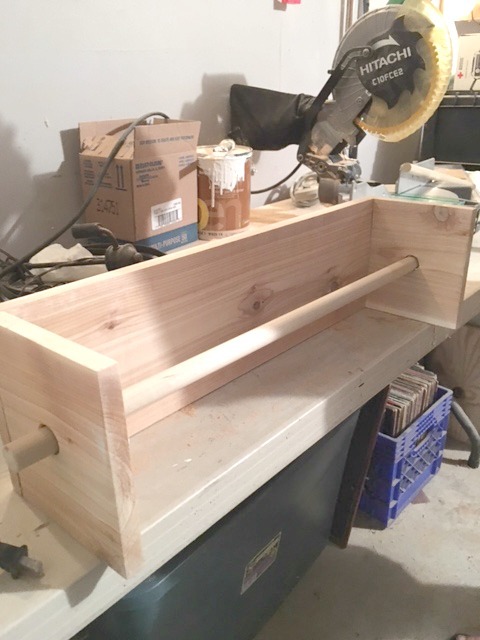 Screw hole into sides of wooden dowel, and then place dowel into holes. *TIP I had to unravel the paper so that it would fit in the holder. The paper is wonderful though and great quality! 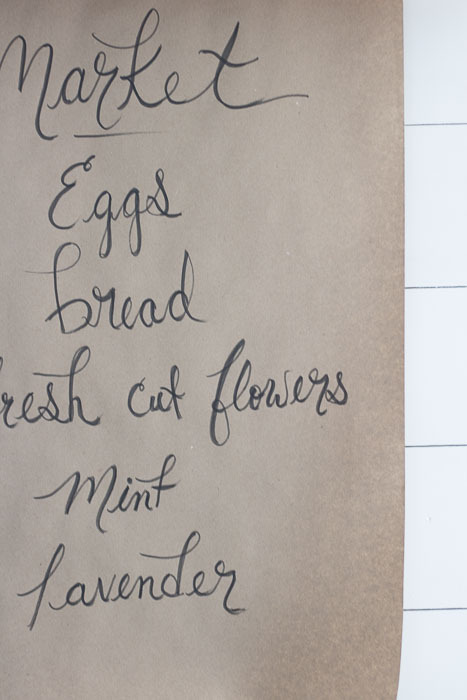 Here’s Some Hand Lettering Pens to make your paper all fancy! Hi! 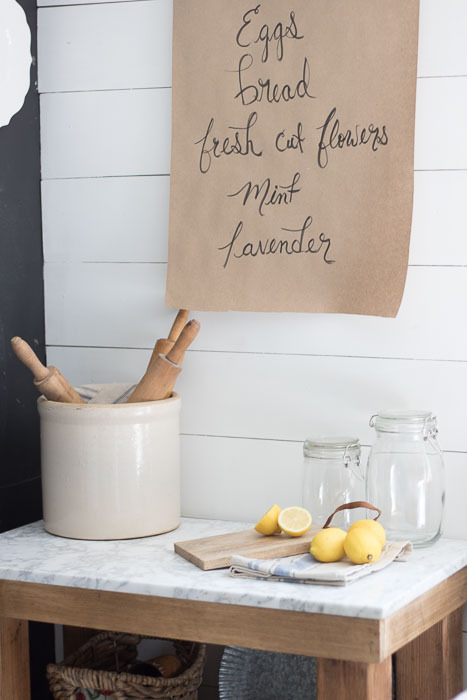 Cute idea & it really looks good with the rest of your decor. 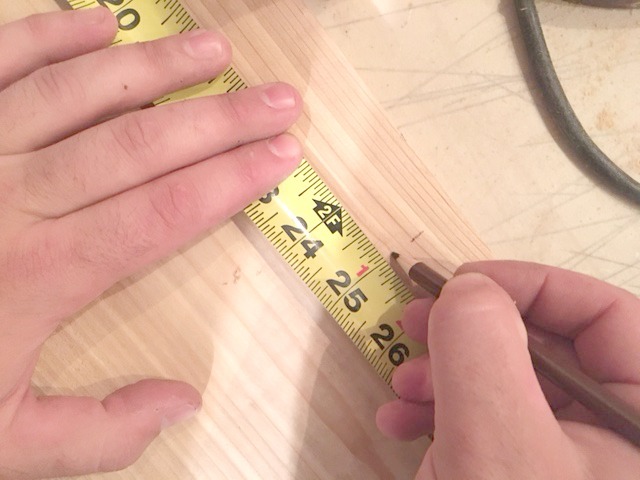 A couple of questions: the materials list says plywood but it looks like you used either 1×6 or 1×8 white pine? Also, assuming this is strictly for decoration, it will look so perfect with different hand drawn holiday pictures and messages! Or will you be using it regularly for projects? Thanks. Yes, I was thinking the same thing! Actually I probably should specify we used cedar…thanks for bringing that to my attention, I am going to go back and change that! Have a wonderful week! Love it! 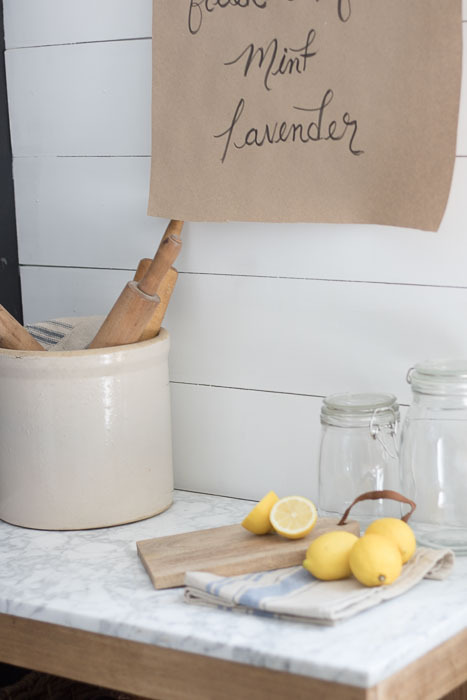 And the rest of your farmhouse decor! Awesome idea! I agree. I love the simplistic beauty brown paper adds to gifts. 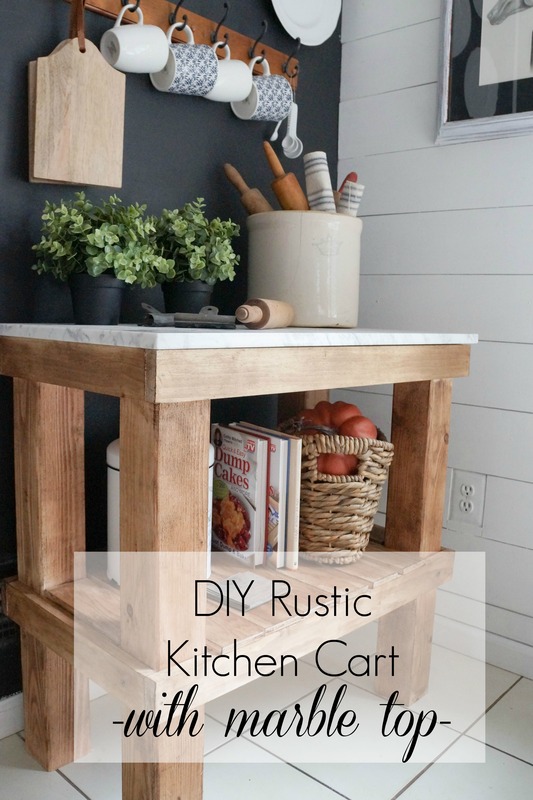 It is a great addition to any farmhouse kitchen! Thanks for sharing. Thanks so much Julie and thanks for stopping by!